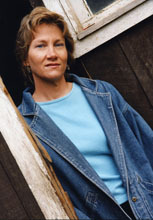 Nance Van Winckel is the author of six collections of poems, including After A Spell, winner of the 1999 Washington State Governor’s Award for Poetry, and the recently released Pacific Walkers (U. of Washington Press, 2013). She is the recipient of two NEA Poetry Fellowships and awards from the Poetry Society of America, Poetry, and Prairie Schooner. Recent poems appear in The Pushcart Prize Anthology, The Southern Review, Poetry Northwest, Crazyhorse, Field, and Gettysburg Review. She is also the author of four collections of linked short stories and a recent recipient of a Christopher Isherwood Fiction Fellowship. Boneland, her newest book of fiction, is just out with U. of Oklahoma Press. Her stories have been published in AGNI, The Massachusetts Review, The Sun, and Kenyon Review. Nance’s photo-collage work has appeared in Handsome Journal, The Cincinnati Review, Em, Dark Sky, Diode, Ilk, and Western Humanities Review. New visual work and an essay on poetry and photography appear in Poetry Northwest and excerpts from a collage novel are forthcoming in Hotel Amerika and The Kenyon Review Online. 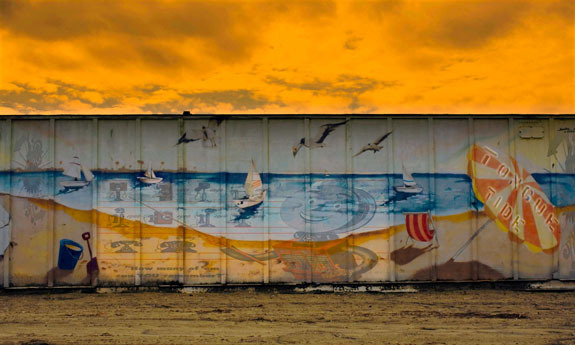 Click here to see a collection of Nance Van Winckel’s mash-ups of poetry and photography, which she calls photoems . She is Professor Emerita in Eastern Washington University’s graduate creative writing program, as well as a faculty member of Vermont College of Fine Arts low-residency MFA program. She lives near Spokane, Washington with her husband, the artist Rik Nelson. Her personal web page is here.